Healing from grief is a journey, but it can be made an easier one. This week, a group of children participated in Camp Courage, a grief camp aimed at helping kids process grief. The campers played games, each created a memorial lantern, and learned about ways to cope with their emotions and stress. 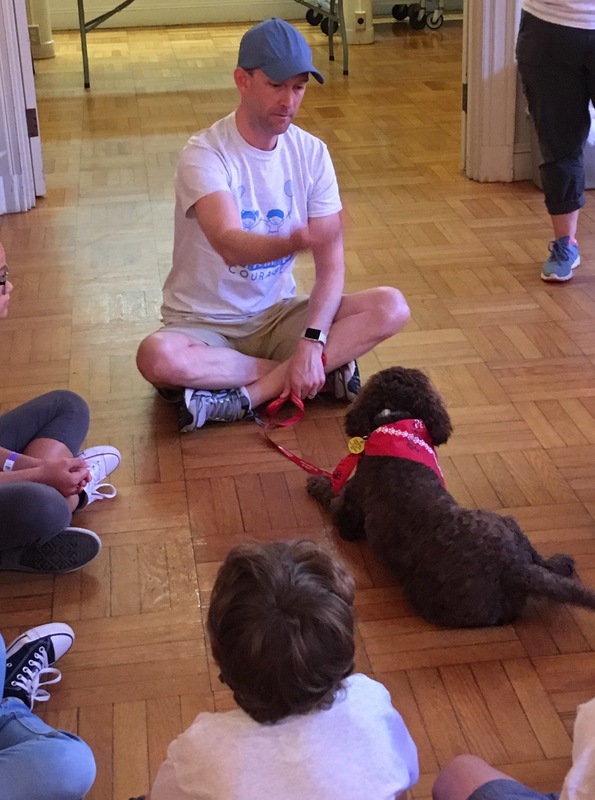 Kibbi, the Morris-Baker therapy dog, also spent the day with the kids. Interacting with therapy dogs can lessen anxiety, provide comfort, increase relaxation, and lift people’s spirits. Several of the kids especially gravitated toward her and asked to take little walks with her or throw the ball for her. Mountain States Health Alliance Hospice has offered its Camp Courage—underwritten by Morris-Baker Funeral Home and Cremation Services—every summer for the last several years. The camp is open to any child, from kindergarten through eighth grade, who is grieving a death. At the end of the camp, every child wrote a note to or about their lost loved one on a balloon and released it into the wide open June sky.